I think it's worked! 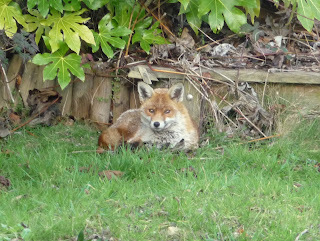 This is the fox that spent today curled up at the end of our garden. I love animals, I miss our dog and 3 cats back at home and I have to admit i enjoy watching the squirrels, birds and fox from our kitchen. He didn't seem too fussed by being photographed! 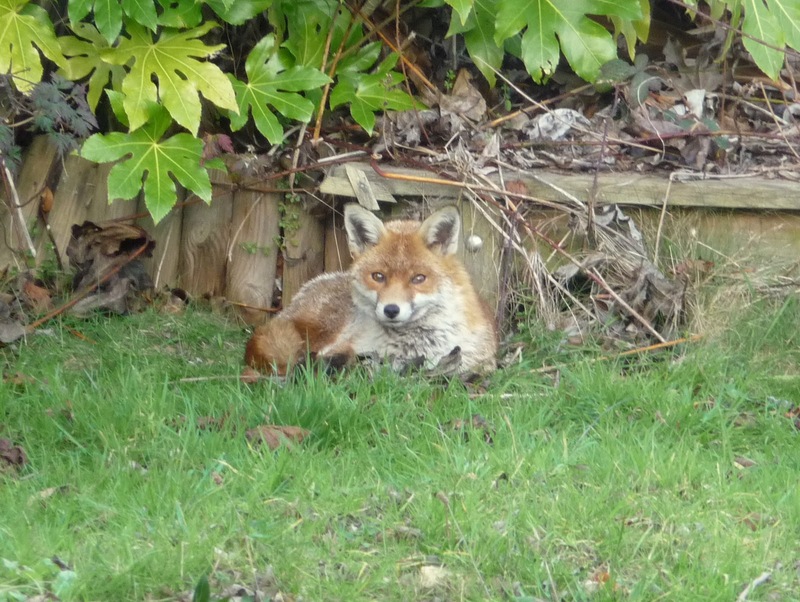 It's the first picture I've got of him (I'm calling it a him, I have no idea if I'm honest) because normally I dont have my camera when he's there. It reminded me I should start carrying my camera more. And so this is going to start of my list... or perhaps it's a plan? My awesome friend Vicky is the one that whas inspired me to start this blog and I quite like the idea she is using of '21 things to do before she's 21'. Unfortunately, me being a baby, I'm not yet 20, so mine is going to be 20 before 20- not quite the same but hey ho! I've got 7 months, wish me luck! Pass this year of uni! That took some thinking! I hadnt really planned it so knowing me il think of something else as soon as i click post but I think its a good start and covers lots of things that I enjoy or are important to me. If I manage them I'll be a happy bean!